In addition to the game, fans can also follow the adventures of Inferno Squad on the page in the upcoming novel Star Wars Battlefront II: Inferno Squad by Christie Golden (Star Wars: Dark Disciple). 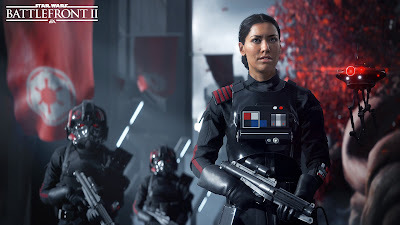 The novel will be set prior to the events of the game, and will follow Inferno Squad as they track down members of Saw Gerrera's Partisans who escaped the destruction of Jedha by the Death Star in Rogue One: A Star Wars Story. The novel hits shelves on July 25th, 2017. Star Wars Battlefront II will be released on November 17th, 2017.